Content marketing agencies are not only associated with big, large, extensive and well-established brands. Surprisingly, most of these agencies today are making their money by working for small companies or entrepreneurs. A good content marketing agency with proper planning can benefit business of any class or size. All you need to do is– use the best strategy to use your agency for your business. They produce good content quickly and ensure that their customers get good results. They craft a useful, effective content that helps in rapid growth of businesses and develop enduring relationships between brands and humans. A good content marketing agency always research and analyse the customer’s online presence, they ensure that your online presence is set up in a way to meet your business goals. The main reason behind entrepreneurs turning to these agencies is the expertise and specialized knowledge. Small scale businesses usually lack their own marketing department, and thus they are in dire need of the depth of expertise which only a good agency can provide. Another advantage of hiring a content marketing agency is you do not need to spend time promoting your business or crafting a content for your business or website, and thus you save your valuable time. Most business owners are busy running their business and if they take up another responsibility of content management, it can lead to chaos. So, hire an agency and stop yourself from wasting both energy and time. You might think that hiring an agency will be expensive. But, a good advertising campaign can double up the size of your potential buyers and thus expand your business. They can easily redesign, re-craft the contents to get more effective results and win you good results. 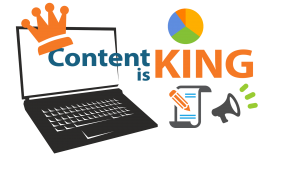 Content marketing agencies Los Angeles can help you with developing a particular market niche or position in industry. A creative and engaging may boost your short-term sales, get customers to visit your website, help you establish awareness of your business and make your business the first choice for customers.